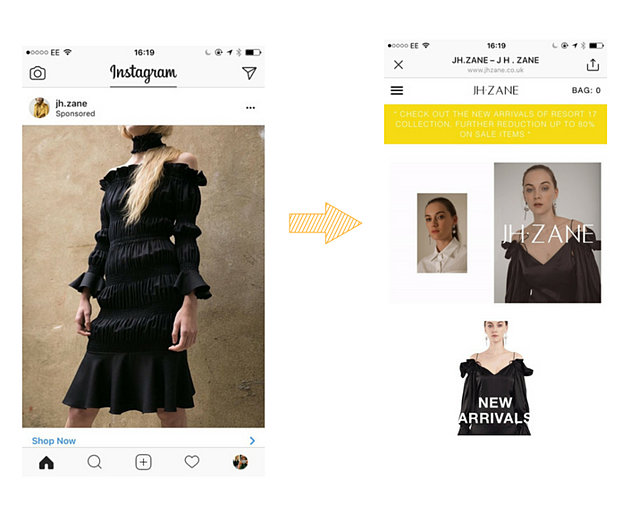 Ever since that first sponsored ad from Michael Kors in 2013, Instagram ads have become an indispensable tool for retailers to build their social media following, boost brand awareness and grow their customer base. When you look at the click through rates for Instagram ads, the pros far outweigh the cons. According to marketing software company Kenshoo, users are two and a half times more likely to click on ads than on other social media platforms. 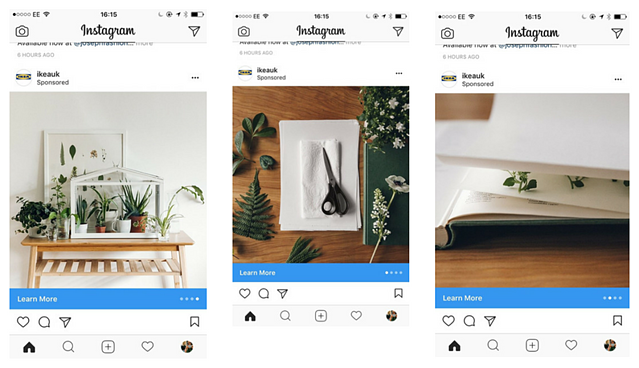 For this blog post, we’ve hand picked a few good examples of Instagram ads today, examining why they work and what made us click. Clean and simple design, with the main focus on the product and range being promoted; the caption of the image is just four words: "Shop New Resort Collection". Refreshingly simple. Clear CTA that takes you to the brands "new arrivals" page. With a pastel pink wall, ethereal lighting, painted nails and a gorgeous bag, this ad could be mistaken for a cool Instagram post published by a friend opposed to sponsored content. This ad doesn't go in for the hard-sell. 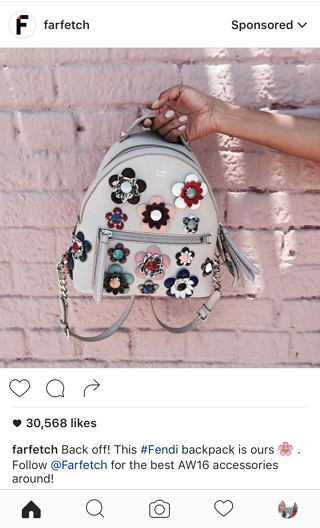 It's a form of native advertising that aims to promote a product whilst also creating content that is more artistic and could appeal to anyone, not just those that can afford a Fendi backpack. Ikea is famous for its cool partnerships, enabling it to publish genuinely useful sponsored content. With the caption "We've team up with @haarkon_ to create a beautiful framed collection of dried plants & flowers," followed by instructions on how users can go about creating their own, Ikea makes the most of the carousal ad format to tell a mini story. The "Learn More" CTA is apt for this ad, as it clicks through to Ikea's entire Plants offering on its ecommerce site. 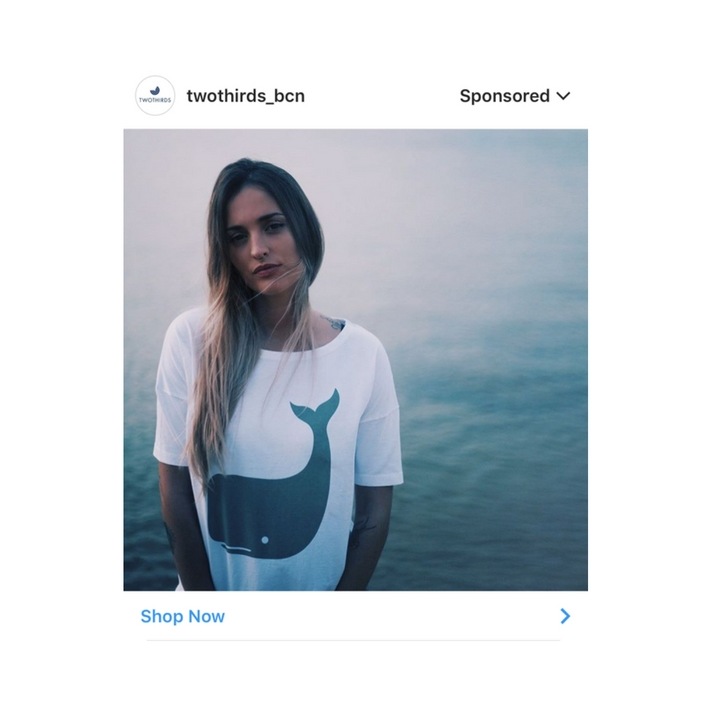 Some brands are using Instagram ads to offer customers a personalised experience, using cart and browse abandonment ads, triggered by a customer or prospect viewing or adding an item to their basket (something Ometria can help you with!). 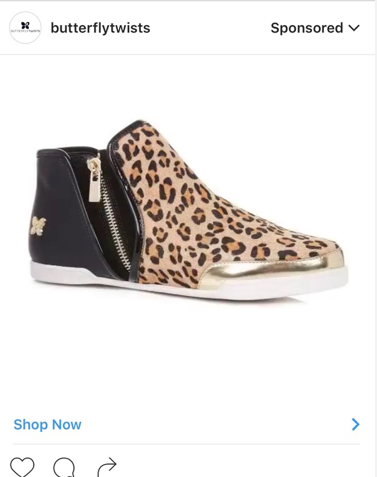 The shoe brand offers up a carousel of items that we've already viewed, as well as providing a direct link so that the abandoner can go back and purchase if they're tempted. 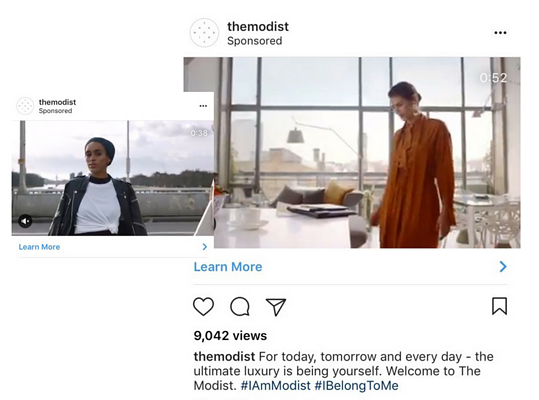 According to a report by the app marketing and data company Sensor Tower, one out of every four ads on Instagram is now a video ad. The research also revealed that the average length of video ads on Instagram has increased from 15 seconds in January 2016 to 25 seconds in June. It’s no surprise, then, that during our research into Instagram ads we were met with an abundance of video material. This one is a golden oldie: a bake-off themed video promoting berry meringue recipe from Izy Hossack as part of the brand's campaign #MakeMoreThanJustFood. On a superficial level, the video works because: it’s nice to look at - thanks to the soft colours and marble background, it’s isn’t too long, it’s informative and the text overlay is clear. 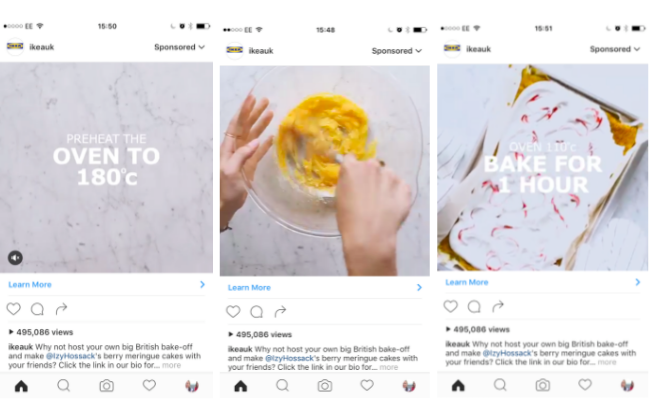 Digging a little deeper, the video managed to persuade us to click thanks to its clever use of influencer marketing from student/Instagram sensation Izy Hossack, and contextual relevance - cashing in on the current bake-off mania. The “learn more” CTA redirects to the Cook Together section on the IKEA website, which includes different recipes designed to be cooked with company. The recipes, of course, feature IKEA products, thus encouraging a user to purchase. 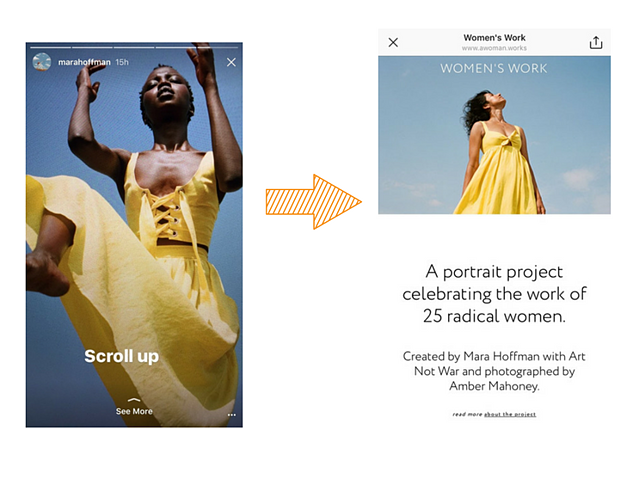 This ad is particularly interesting as it leads to a landing page promoting "Women's Work: A portrait project celebrating the inspiring lives and work of 25 radical woman." In the ad, as in the project, the brand's pieces are being worn. However, what this ad really serves is generating brand awareness (and—in this case— awareness for the project) more than anything else. An example of a more subtle, content-focused approach to Instagram ads. As Mark Twain once observed: "Many a small thing has been made large by the right kind of advertising". Over the past couple of years Instagram has become an advertising powerhouse, and with the advent of the company's new tools for businesses it's set to become even more useful to marketers. Take note, though, to Twain's specific wording: in order for advertising to be effective, it has to be right. The way to achieve this is by making your ads: relevant, visually pleasing, simple and straightforward. And remember to include a clear CTA that will action the ad's overall goal. Even if Instagram ads don't immediately have a huge impact on your social following, remember that it's all about spreading brand awareness. If a user spots something they like, there's no stopping them looking up your brand at a later date and potentially signing up to your newsletter.